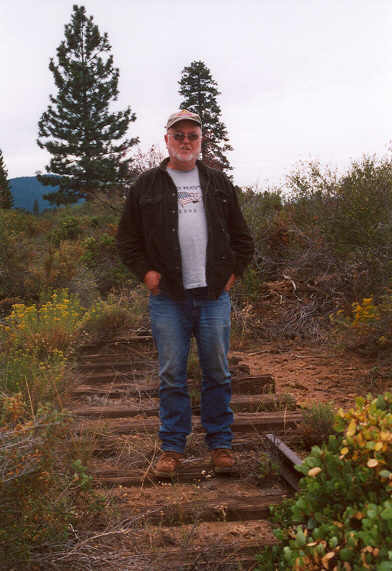 In August 2003, Roger Titus rode a Lookout Job with engineer Malen Johnson. 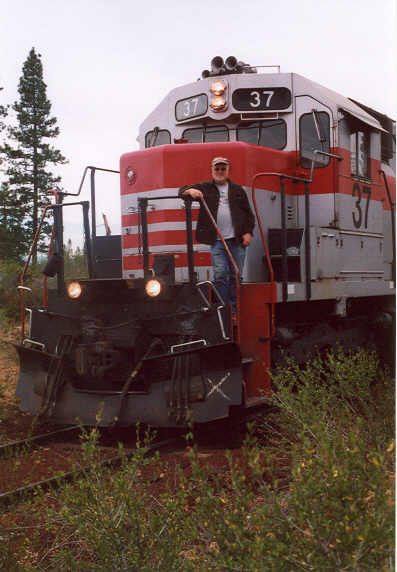 This was Malen's last run to Lookout before his retirement from freight duties at the end of that month. All photos by Roger Titus and are used with permission. 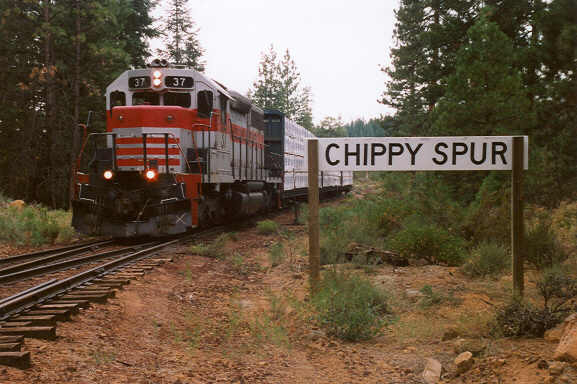 The eastbound Lookout job with three loads in tow at Chippy Spur. 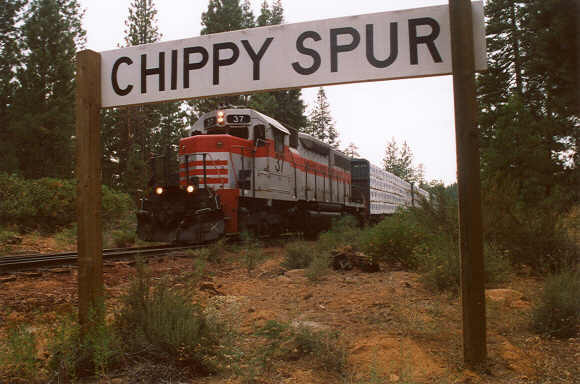 Another shot of the Lookout Job framed by the Chippy Spur station sign. 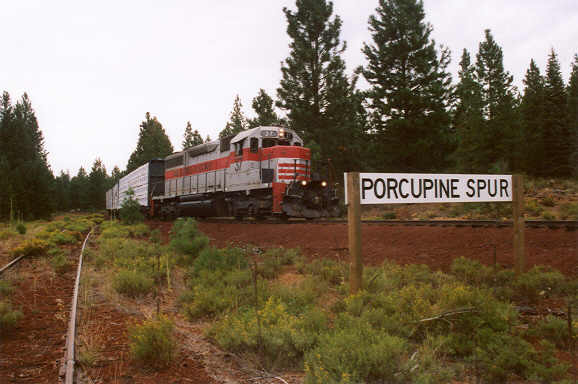 The train passing the spur into the ballast pit at Porcupine. 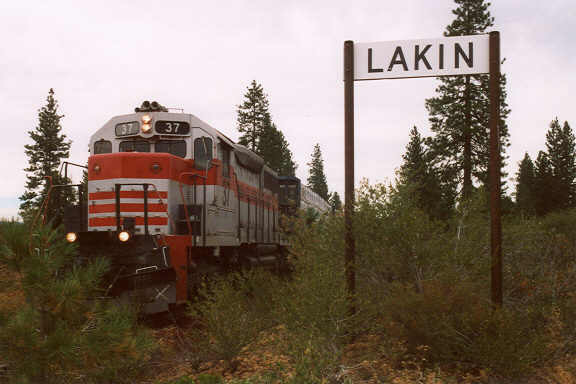 Next is the old siding at Lakin. Malen on the front steps of the #37 at Lakin. Roger and Malen took some time to walk the grade of the old siding at Lakin. Here is a shot of Malen standing on the old ties. 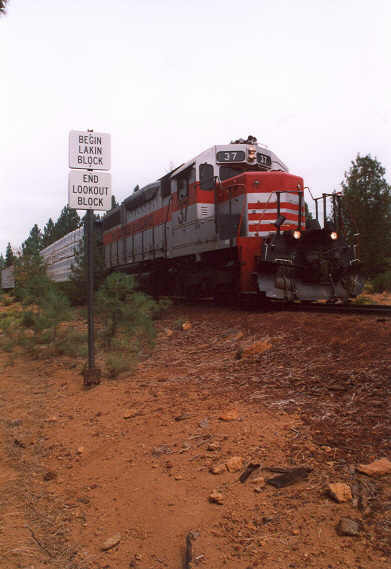 Camp Two is the next station reached, and the train is seen here passing the DTC control sign marking the division between the Lakin and Lookout blocks.